Have you heard about TenEleven Cupcakes? I bet you did! They have been in the market for almost a year now and are doing quite well. I had the honour to meet the passionate owner, Ms Handara Isman last Wednesday night and managed to find out a few noteworthy things about TenEleven Cupcakes. During my brief and informal interview with Handara, I got to know their 3 bestseller cupcakes which you can see on the photo above: strawberry, chocolate hazelnut and mocha caramel sea salt. I had the privilege to taste them all and my ultimate favourite is the mocha caramel sea salt. I have always been a caramel person and I love the incorporation of sea salt to neutralize the sweetness of the cupcake. I have to say though that there's a great battle between the mocha caramel sea salt and the chocolate hazelnut. Although the latter has no salt factor to neutralize the sweetness, its hazelnut filling and topping is very irresistible. Handara recommends that you eat it while warm. As for the strawberry, it is very light and satisfying. You will appreciate the freshness of the strawberry toppings. 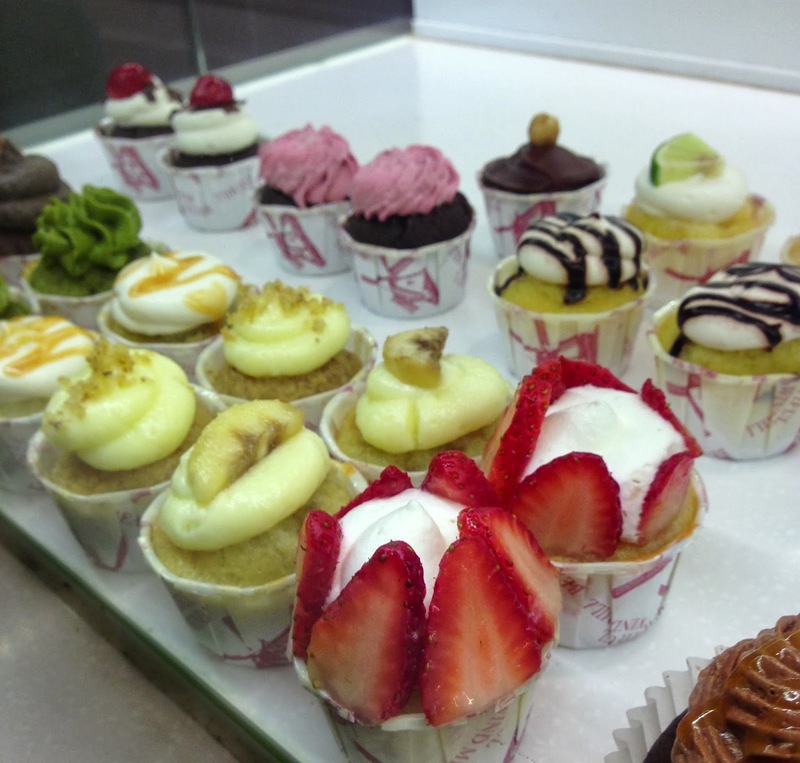 TenEleven Cupcakes is very particular in using fresh fruits in their cupcakes and they avoid food colourings and unnecessary cupcake sprinkles as much as possible too. Perhaps, the only unavoidable colouring they had to use was with the matcha flavour because the matcha (green tea) came in powder form. I tried their matcha and banofee both in mini-cupcake version and liked it too. I got the hubby and my girl to taste the black forest and chocolate hazelnut and was asked why I didn't buy more for them. LOL. Other noteworthy flavours were Boston cream, key lime, cookies and cream, chocolate peanut butter and chocolate raspberry. I should remember to drop by at TenEleven Cupcakes one of these days to bring home more cupcakes to satisfy my family's sweet tooth. Do follow TenEleven Cupcakes in Facebook. They do customize cakes and cupcakes for all occasions. They bake with love, joy and intense passion. Fun Fact: TenEleven was derived from the owner and her husband's date of birth, in case you are wondering. whew.....I can't find anything close to these on my side of the world now hahaha how do I satisfy my craving? Can I eat the computer screen??? hehehehe...love the strawberry cupcake!! !